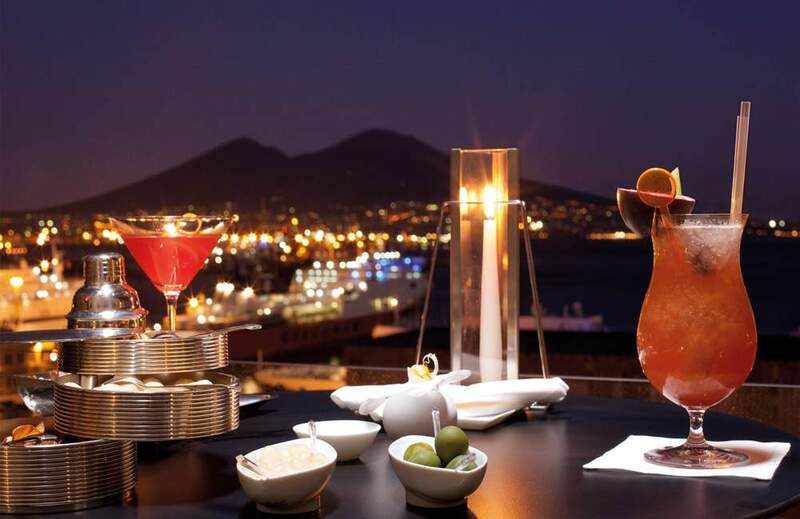 An unforgettable Hotel View over Naples awaits you at Romeo hotel. We were quite excited about having the opportunity to interview Ms. Antonella Graziano, a passionate about the glorious views on display from Romeo hotel, probably the most exciting luxury boutique hotel in Naples. Ms. Graziano's words really had an effect on us and at this point we can't wait to check this views for ourselves during our next stay in Naples. We invite you to read on and get a glimpse of what's waiting for you at Romeo hotel. What makes Romeo hotel View so perfect? The city of Naples rises all around the Bay of Naples, a 15-kilometre wide gulf housing beautiful islands, such as Capri and Ischia. Romeo hotel is in the very city center and it is located on the waterfront, so when looking at the landscape you can admire the whole Bay, and feel what we like to call “the sense of infinity”. Well, this sounds like a trick question, though in the end the answer just depends on what you would like to see! The snowy Mt. Vesuvius in a cold winter morning while enjoying your breakfast from behind the Beluga glass walls; the moon over the Bay and the lights of Naples in a magic summer night from the terrace of the Michelin-starred restaurant Il Comandante; the sun shining over Capri in a hot summer day while enjoying your Mojito in the rooftop pool. 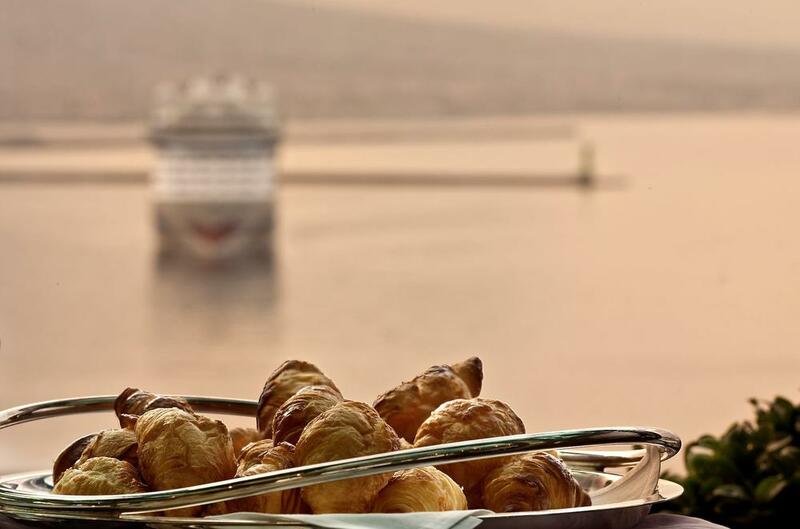 I personally prefer a clear spring morning with the sun rising in the pleasantly crisp air, while a cruise ship is about to dock… but that’s a matter of taste! How should one experience Romeo hotel View in a truly memorable way? What is simply amazing about Romeo hotel’s view is the contrast with all the rest of the City. Anyone who has ever visited Naples remembers colours and glee, as well as noise and chaos in the streets. 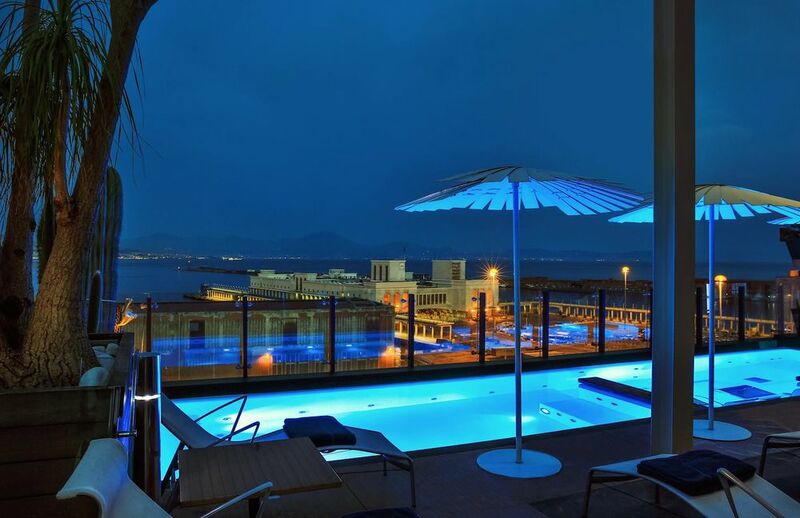 When you experience the view from Romeo hotel’s rooftop pool, for example, you can look at Naples from an oasis of peacefulness: it IS there, but it seems miles away from you. Actually yes. To the “Viewaholics” we always suggest our Romeo Bay View Suites and the Skyline Suite, so guests can enjoy the panorama from their bed. And this is priceless, I think! Nevertheless we offer this stunning view to all of our guests, as on the 9th floor we have a bar-restaurant and the pool, and at the 10th floor there is the gourmet restaurant Il Comandante, so we are sure that nobody misses the “show”. Describe Romeo hotel view in a single word. A common saying here is “See Naples and die”, meaning that before you die you must experience the beauty and magnificence of Naples…so if I had to choose a word to describe Romeo hotel’s view, I would just say it is immortal.